12 January 2016. 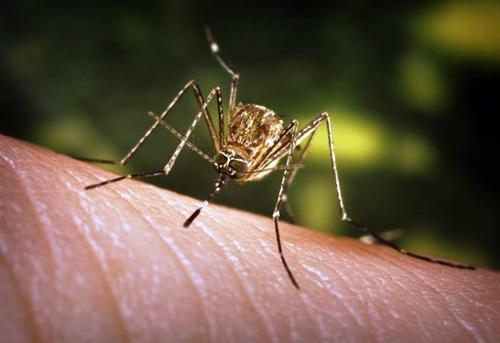 A team from Institut Pasteur in French Guiana sequenced the complete genome of the Zika virus, a mosquito-borne pathogen causing disease outbreaks in tropical regions, including the Americas. Findings from the analysis appeared last week in the journal The Lancet. The Zika virus causes fever, with rash, joint pain, and conjunctivitis, also known as pink eye. Most symptoms reported are mild, but Centers for Disease Control and Prevention says the virus is linked in Brazil to infections in pregnant women and subsequent birth defects, as well as Guillain-Barré syndrome and other neurological disorders. There are no vaccines to prevent or treatments for Zika virus infections. Avoidance of mosquitoes is the only known control. The virus is spread by Aedes species mosquitoes, also associated with dengue and chikungunya viruses. Sporadic Zika virus outbreaks were reported in Africa and Asia, but an epidemic broke out in 2013 in French Polynesia, which spread to other Pacific islands. In 2015, outbreaks first occurred in northeast Brazil, and later spread to Colombia and Suriname in the fall of 2015. In Brazil alone, as many as 1.3 million cases are suspected. CDC says Puerto Rico reported its first Zika case in December 2015. The team from Institut Pasteur’s virology lab in Cayenne, French Guiana, led by biologist Dominique Rousset, confirmed and isolated the virus from the first five cases of Zika in Suriname. Rousset and colleagues analyzed the viral genomes from blood serum in four of the individuals with reverse transcription-polymerase chain reaction, or RT-PCR. This technique detects and quantifies gene expression with micro-RNA, even from samples as small as a single cell. The team was able to sequence the complete Zika virus genome from one of the individuals. The results show the genome in Suriname is almost completely identical to proteins found in the strain that infected French Polynesia in 2013. Institut Pasteur says 17 cases of Zika virus are now reported in French Guiana, with 3 more reported in Martinique, a French possession in the eastern Caribbean. A team from Institut Pasteur’s branch in Dakar, Senegal is assisting health authorities in Brazil with that outbreak.